light the way to fear-free sleep. This cheerful mollusk comes in your choice of three colors -- rose, pink, or yellow. The use of an LED allows for energy savings and environmental protection. The little lamp can be run on a battery or through a USB connection. A USB cord is included in your purchase. 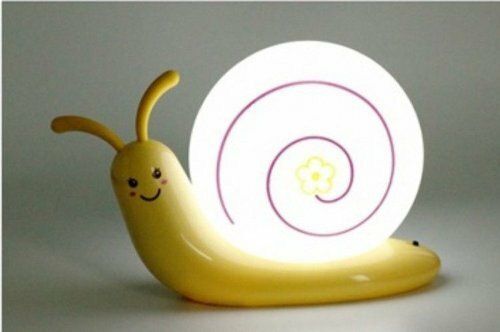 The snail lamp is also just the right decorating accent for your child's room and populating it with adorable friends. To order a Snail LED Wall Night Light for your home, click here.